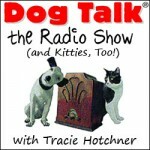 Hear Melissa’s Interview on the NPR “DOG TALK®” radio show. Do You Want to Understand How Your Dog Thinks? Contact Calming Companions – We Can Help!!! Need help teaching your children about interacting and training with your dog? Interested in forming a neighborhood class?? ?